Dissident Voice is an internet newsletter dedicated to challenging the distortions and lies of the corporate press and the privileged classes it serves. The goal of Dissident Voice is to provide hard hitting, thought provoking and even entertaining news and commentaries on politics and culture that can serve as ammunition in struggles for peace and social justice. 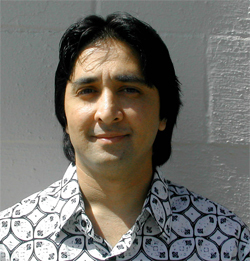 DV Editor and Publisher Sunil K. Sharma is a musician, writer/researcher, and merry agitator based in Santa Rosa, CA. He did his undergraduate work in Music at Sonoma State University. He is formerly a researcher with the media watchdog group Project Censored, and is co-author of The Current Plight of the Kosovo Roma, a groundbreaking survey based on the field research and compiled reports of historian Paul Polansky, published by Voice of Roma in Graton, CA. His articles have appeared in Z Magazine, CounterPunch, Yellow Times, Palestine Chronicle, and Left Turn among others. He has also contributed essays to the book Left Out! How Liberals Helped Reelect George W. Bush by Joshua Frank. Sunil performs music frequently in the Northern California Bay Area. He is a composer and guitarist for Reality Check, a violently anti-“smooth jazz”, jazz-rock quintet. He is currently recording “Faces in the Mirror,” a CD of his original compositions, which will be available in the spring of 2007. He can be reached at: editor@dissidentvoice.org. 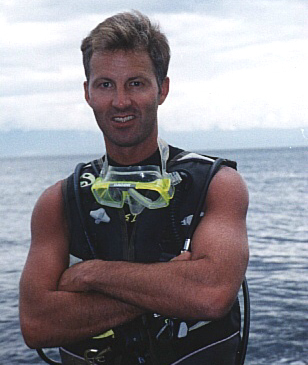 DV Co-Editor Kim Petersen is an average dude who enjoys scuba diving, working out, and advancing the struggle for a world based on principles of peaceful and equitable sharing and respect for the environment and life. He studied at universities in occupied British Columbia, Canada and Norway. He contributed “Western Imperialism and China” to the upcoming Alternative Atlas, which critiques imperialism around the world over the last 15 years, to be published by French editor Le Temps des Cerises in October 2005. His articles have appeared in various progressive media, and he has been a contributing writer to Dissident Voice since 2002. He can be reached at: kim@dissidentvoice.org. 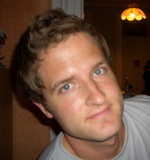 DV Co-Editor Joshua Frank was born and raised in Montana and currently lives in New York. He is a long-time contributing writer to Dissident Voice, and is author of Left Out! How Liberals Helped Reelect George W. Bush (Common Courage Press, 2005), and the forthcoming Red State Rebels, to be published by AK Press in March 2008. He has appeared as a political commentator on MSNBC as well as numerous radio programs. His investigative reports and columns have appeared in many publications, among them: CounterPunch, Z Magazine, Alternet, Guerilla News Network, Lew Rockwell, Common Dreams, Antiwar.com, Clamor, Metro New York, Green Left Weekly, Left Turn Magazine, and the Anderson Valley Advertiser. He has also contributed essays for several books: Dime’s Worth of Difference: Beyond the Lesser of Two Evils (CounterPunch/AK Press, 2004), Independent Politics: The Green Party Strategy Debate (Haymarket Books, 2006), Beyond Borders (Worth Publishers, 2006), as well as the Introduction to Ward Churchill's forthcoming book, Speaking Truth in the Teeth of Power, to be published by AK Press in early 2007. Joshua edits BrickBurner.org, the official blog of Dissident Voice. He can be reached at: joshua@dissidentvoice.org. Main page photo by Brian Marsh. Anti-War protest, San Francisco, CA, February 16, 2003. (C) 2003 Brian Marsh. Email: subbrian3@yahoo.com.